The final hurdle for the renovation and expansion of Indiana State University's College of Health and Human Services facility was cleared Tuesday. The Indiana State Budget Committee approved the $64 million expenditure to modernize and expand the former Arena Building, which was built in the 1960s. "The University is grateful for the support of the local legislative delegation and their legislative colleagues to allow for the expansion and renovation of this important facility to improve learning environments for students in the College," said Diann McKee, senior vice president for finance and administration and university treasurer. Work will include major upgrades to improve temperature control and air quality in the building as well as technology improvements. Interior space will be reconfigured to enable academic programs to function more efficiently. The project also includes an 87,000-square-foot expansion to house new academic programs and accommodate existing programs now housed elsewhere on the Indiana State campus. 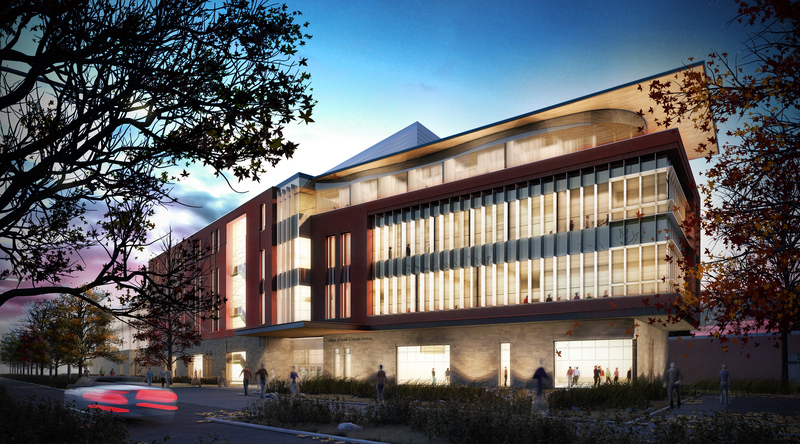 Once bids are received early this summer, construction will begin. Preparation for the project, including relocating a main sewer line and bike trail along Fourth Street from Chestnut to Tippecanoe streets, is currently underway. The final hurdle for the renovation and expansion of the College of Health and Human Services facility was cleared Tuesday when the Indiana State Budget Committee approved the plan to modernize the former Arena Building.